Ride Yorkshire for the Rally! Legacy and history combine in this spectacular Yorkshire ride to support the revival of the York Rally. 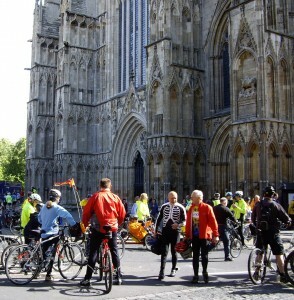 70 years of cycling heritage will be reborn in York, one year after the Tour’s incredible visit. In July 1945, heady with post-war excitement, a gathering of cycling enthusiasts from clubs across the North of England made a momentous decision: to hold a rally “in or near York”. 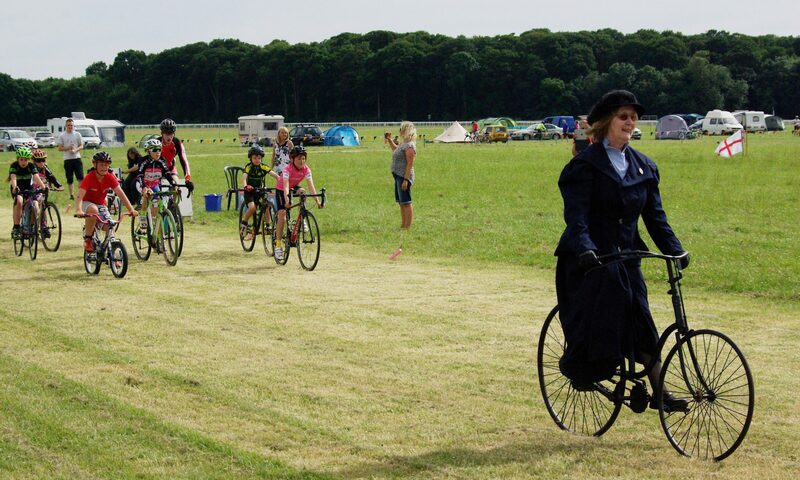 The title of the event was to be “The Grand All-Yorkshire Cyclists Rally”. So on a Sunday in September 1945 the very first Rally was held on York’s Knavesmire, a sociable gathering of the northern cycling associations which soon developed into the main annual meeting-point for cyclists across the UK and beyond. 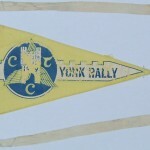 The event was repeated for 68 years, as the CTC York Rally, and more recently as the York Cycle Show, until its temporary demise in 2013. 70 years on, today’s cyclists are not prepared to let the Rally die. A group of volunteers has formed to revive the Rally for 2015. The 2015 Rally will build on the fantastic legacy of the Tour de France 2014, whose second stage started right at the Rally’s traditional venue, York Racecourse on the Knavesmire in York. 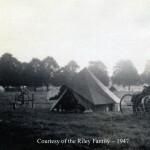 The York Rally 2015 will take place on the 20-21st June on the Knavesmire, and annually thereafter, continuing the tradition of fellowship and the joy of cycling embodied by the post-war founders. The new committee will also bring fresh ideas to keep the Rally sustainable for the decades to come. The new Rally is still taking shape but it will aim to attract cyclists and potential cyclists old and new, and it will be a wonderful opportunity for those new to cycling to share in the unparalleled depth of cycling experience among the Rally regulars. Cycling clubs, associations, online cycling forums and social media groups from across Yorkshire and the UK are warmly invited to attend, and to take full advantage of the almost unlimited space available on the Knavesmire to showcase their activities, and to come together with their members in a ‘Grand All-Welcome’ cycling meeting. Cycle trade exhibitors will also be made welcome. the 36 km ride is mostly flat, and is perfect for families or perhaps for anyone inspired by the Tour looking for a challenge on their new bike! The ride will be well-signed with marshals. There will be feeding stations en route and free rider recovery will be on hand. The 100 km ride is a serious challenge, taking in significant climbing and amazing Yorkshire views. Again feeding stations and a tea stop will be provided, as is recovery if needed. The 140 km ride is worthy of champions! The famous Rosedale Chimney is an even more challenging climb than anything the Tour attempted, with a fearsome gradient but an exhilarating view over the moors at the summit. Full details can also be found at the new York Rally website: www.yorkrally.org where supporters of the event are also invited to participate in the re-launch by becoming a ‘Friend of the York Rally’. All are welcome with ideas or to volunteer to help: details are on the website. 1953: Una and Kathleen Riley on TT on way to York Rally. Kindly provided by Martin Purser of the Tricycle Association. 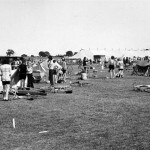 1947: Knavesmire camping circa 1947. Kindly provided by Martin Purser of the Tricycle Association. 1980s York Rally by Tommy Thompson. Kindly provided by Martin Purser of the Tricycle Association. Further high resolution images are available: please see the ‘History’ page on the website or contact the Publicity Officer as below. The York Rally’s 70-year heritage is a treasure trove of social history, vintage costume, cycling invention and evolution, and true (authentic? eccentric?) British cycling culture. 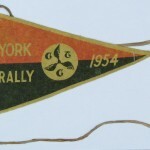 See www.yorkrally.org/history/ or contact the Rally to be put in touch with experts who can tell you more! Thanks to Dave Bishop who brought these splendid pennants along to the last meeting, and for Paul Reid for letting me use his camera for the images. I’ll try to find out more from one of our historical experts. 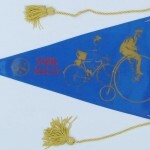 Where were these pennants flown? Who designed them? Does a complete collection exist anywhere? And do we have a volunteer to make a new one for 2015? Plenty of progress to report! You can now join the Friends of York Rally online! Entries are live and route maps are up for the York Rally Grand Classic Sportive in September. We’re preparing a press release campaign to go out very shortly, capitalising on the Tour de France and Yorkshire buzz. We’re also spreading the news via Facebook so please do share with your friends. More is in the works – keep watching! York Rally to return: 20-21 June 2015! The York Rally date has been booked for the weekend of 20/21 June 2015. York Rally will need to raise funds. This is being achieved in two ways. 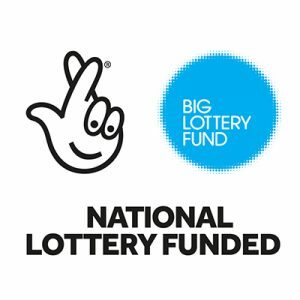 1 – The Friends of York Rally subscription scheme where there is an annual membership of minimum of £5 plus voluntary additional donation. All are welcome as we make plans for the first revived York Rally for 2015. Meet at Your Bike Shed, Micklegate Bar, York YO1 6JX (the cyclists’ café) at 10.00a.m. in the basement. From its inception at the end of the war until recent times York Rally has, quite deservedly, been a mecca for cyclists from all over the country and beyond. The challenge now is to create an event which stays faithful to its grass roots but embraces current trends as well as developing new and exciting ideas which attract new and novice riders. The key element is that the Rally should be run by cyclists for cyclists. It should be a fun and friendly weekend with lots of activities and opportunity to socialize. Date & time of next meeting. 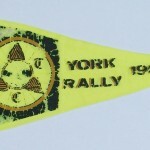 Welcome to the York Rally website! We’re planning to revive the long proud tradition of the York Rally, for years the UK’s main touring cycling get-together, with many fresh new ideas. The first event will be in Summer 2015 – watch this space for updates!